Business is a significant factor in socio-economic impact – and the socio economic impact is an important indicator of the success of the business, especially long term. When creating jobs, training workers, building physical infrastructure, acquiring raw materials, transferring technologies, paying taxes and increasing access to products and services from food to energy to information technology, companies affect the assets, skills, opportunities and standard of living of the population, sometimes positively and other times negatively. And as these people are composed of its employees, clients, vendors, distributors, retailers and neighbors, their growth and wellbeing is important for the financial success of the company. It makes a difference if the company has satisfied clients, healthy value chains, happy local communities and the support of the government and other current and future stakeholders. As a consequence companies are increasingly interested in measuring their socio-economic impact for various reasons, from cost reductions to the creating and exploring opportunities. • Discuss and define the best tools, methodologies and actions for measuring the social impact of business activities. • Cooperate with the public and financial sectors in disseminating these tools and methodologies in order to create an environment that synchronizes corporate strategies, their financing and legislation pertaining to the relations with the communities impacted by the businesses. 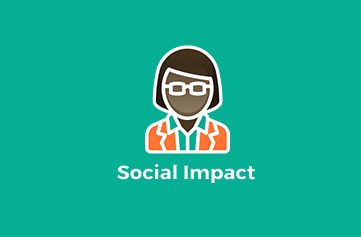 • Disseminate existing better practices in measurement and practical applications regarding social impact on business and endeavor to promote those that are most successful.